Grab a crayon, a colored pencil, or a marker and relax into the kaleidoscope patterns of these works of art! 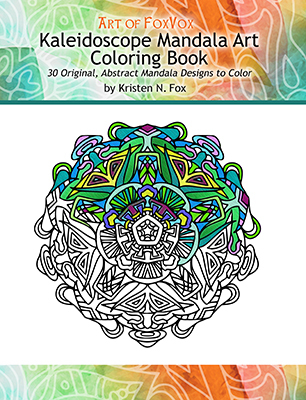 The 30 original, abstract mandala-styled designs in the Kaleidoscope Mandala Art Coloring Book vary from simple to more complex, and each has its own unique look and feel. Each mandala was hand-drawn with a stylus and a drawing tablet, and was inspired by creative impulses and even some happy mistakes, as art sometimes is. And since there’s no up or down with mandalas, lefties can just turn the book around to color in comfort. 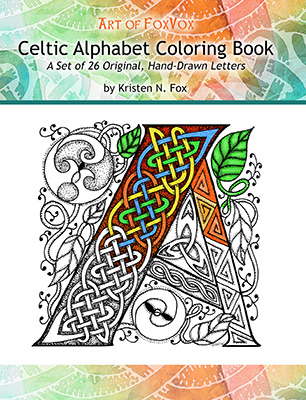 Coloring is not only great fun, but also a great way of relaxing and releasing stress. Mandalas also work well as focal points for meditation – set your tone and color your own!